50′ off the ground up to 150′ and a city block wide. This mural was done in summer and we had sweatshirts covering our hands it was so cold – curious! It was my first swing stage project and Mario said we got it “practically perfect”. 01 Sep	This entry was published on September 1, 2012 at 7:27 pm. 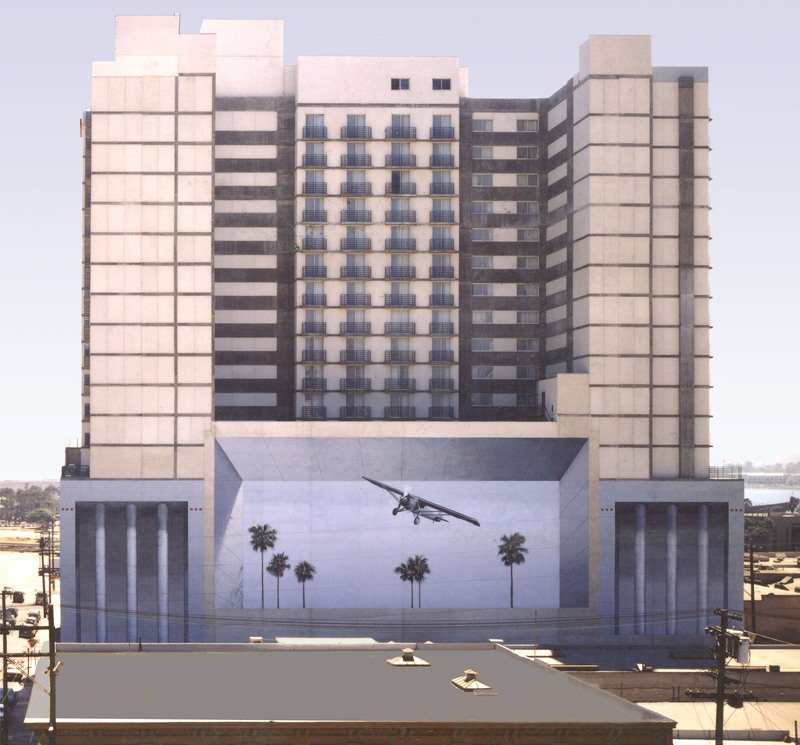 It’s filed under Public Art, Trompe loeil and tagged corporate art, custom murals, graphics, large scale art, murals, photo realism, public art, San Diego Artists, San Diego Muralists, San Diego Murals, trompe loeil. Bookmark the permalink. Follow any comments here with the RSS feed for this post.